The heat and humidity are tiring us Continental Europeans not used to such a tough weather. Eugenio Penna from Sicilia and the Indian group lead by Shiva are fine with it. They are only missing hot spicy food! (not Eugenio though). The August climate is not my favorite, everybody knows that polar bears (Shiro Kuma) prefer the cool weather, but I always enjoy travelling to Japan for my second trip in summer. The dôjô is nearly empty and the rhythm of things is moving to a slow pace unlike the frenzy of DKMS where the dôjô is packed with over a hundred practitioners or the spring trip in April where I try to understand better the new theme developed by sensei. This trip also I appreciate the size of the “kuma group”: 6, roku. It goes well with the theme of the year rokkon shôjô as we are 6 souls (i.e. roku + kon = rokkon) living happily (shôjô). I must say that Shiva, Arjun, and Zam have become real buyu and have succeeded in blending within the bujinkan community. The other day sensei was telling us over lunch that he was not the “king” of the bujinkan and that NO ONE was in charge of a country. The bujinkan is a gathering of individuals and does not need any national organization to run it supposedly under his name. He added that we have to consider him more like some kind of spiritual guide giving the direction and the interpretation of things, a little like the pope. Through him we are all connected. That was last year concept of en no kirinai, or do not sever the connection. Yesterday I gave a class right before the one by Nagato sensei and this connection was obvious to all of us attending the two classes. The technical points Nagato sensei and I developed were so linked that some students asked me after his class if we had planned it beforehand as it looked like part 1 and part 2 of the same corpus! During my class on nagare and tachi I insisted on “rounding up” our moves to free ourselves from any preconceived techniques and one hour later he taught us to flow in a hanpa way (half finished movements) and play with the distance by adapting our moves to what uke was coming up with. Shiva opened the class using Darren as uke and therefore was used by Nagato sensei as uke during the whole class. He was quite tired after the session. At one point Nagato sensei said that we “should not copy” his movements but rather try to get the feeling in order to adapt our actions to the changes of uke. His footwork was the key to put that into practice. Uke was attacking 2, 3 or 4 times like in a kukishin technique, and we adapted the distance to get into uke’s centre and pin him down. To see the simplicity of his body flow is always amazing to me. He is connected to his uke and seems to be able to read his intentions even before uke begins to move in the attack. This ability to connect to the opponent and to the environment can only be achieved through efficient distancing and footwork and is the expression of our humanity. This is a one to one encounter and no organization can recreate this feeling. We are individuals in charge only one life, ours. I have been in the bujinkan for more than 25 years and I have been witnessing the raise and fall of many organizations where the head teacher would behave like a king. I always tried to keep away of this natural human tendency in my country but unsuccessfully as other teachers are always critical about what is created to develop the bujinkan in the good direction. The bujinkan is not rich of the strength of those superficial organizations but of each shidôshi and of the strength of their commitment and implication. 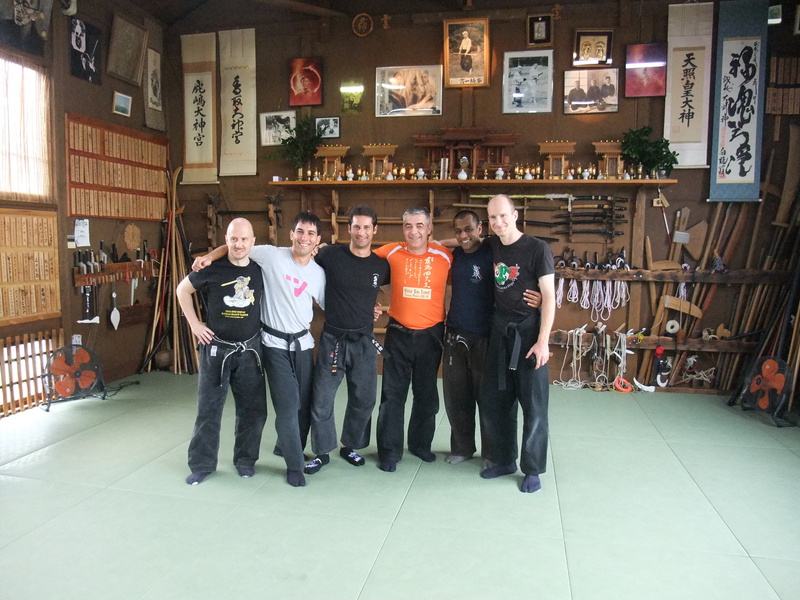 A country is strong because his bujinkan members are good humans with good technical skills. During the Sunday class, Noguchi sensei called me in and promoted Shiva directly to 8th dan for the man he is and the hard training he is going through, not because of some Indian National organization. In the bujinkan this is the human value of the individual that is graded and not his or her technical skills. And because of that we often see high ranks teachers not able to show very high technical skills, but they are good human beings in the eyes of sensei. During lunch the other day he said: “I am not giving ranks for the technical abilities of the people but for the human value of the individual”. 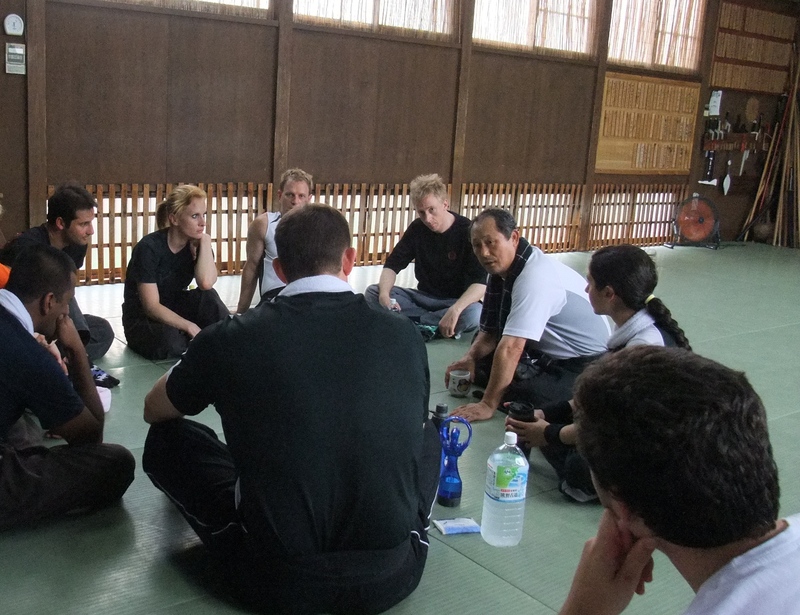 The bujinkan is not a sport martial art and observers (even insiders) should make an effort to accept that. The bujinkan is a way of life originating in the dawn of humanity and t hat has been revived by Takamatsu sensei in the 20th century and is continuously developed by Hatsumi sensei in the 21st century. The bujinkan is a school for the development of the self using old fighting systems to unlock our human abilities. The best illustration being the sakki test (殺気). During the sakki test, the receiver puts to light a natural human ability -sensing danger- that he had since he was born. The polishing of the training is revealing it gradually and the test is the proof that this change has occurred. The develoment of the sakki (殺気), of the intention, of the attitude (構えkamae), of the feeling (感覚 kankaku); the ability to see through the illusions (勘 六 kanroku), to float freely on the flow of life (流れnagare), and finding happiness (清福 seifûku) are some of the main benefits one can get from his many years of years of training. By interacting with other beings, and other cultures you develop your self in a way unattainable by ordinary people. In my last class people attending where coming from India, Spain, Hungary, Germany, Belgium. This is the true sense of community the bujinkan is creating and this is why no organization should dictate our behavior. Nagato sensei yesterday insisted that we developed asobi (遊び) in our training. We have to be playful and happy like kids playing “seriously” the role of some kind of hero. This ability to “play” is at the core of bujinkan training and we should never forget it. Playfulness and happiness are found in regular training and this is what sôke wants us to study. Readng this makes me feel so glad to have experienced Bujinkan Taijutsu, shared in it with others, and continue to apply it’s principles to my life. This is what I needed to know today, so that I could better understand how to approach this art into the next phase of my maturity as a human being, and Bujinkan warrior. outstanding news about Shiva! omedeto! Life is too short to get hung up about “perfect” movement. Being authentic is a lot more important. Please congratulate Shiva on our behalf from India! 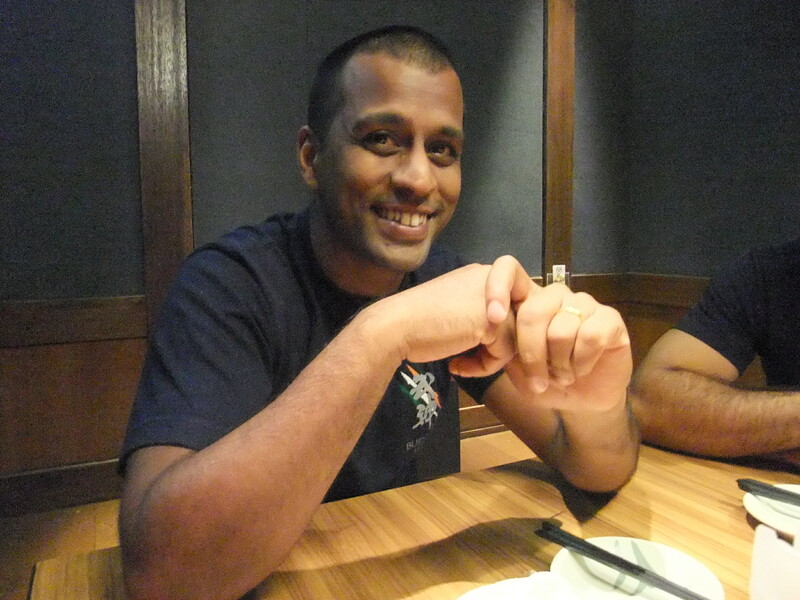 Hope the Summer heat doesnt trouble you too much and thank you for accepting to be a mentor for Bujinkan India!